Words can’t express how angry and heartsick I feel about this woman’s NEEDLESS death. My maternal grandmother Mary Celeste O’Neill (nee Kennedy) was born in County Kerry in 1903. According to the Irish consitution, that means I have the right to claim Irish citizenship. Maybe it’s time I fly to Dublin so I can vote these bastards out of office. So what can you propose to the government? What is the solution? And I guess I am just saying that if the baby has any chance of survival, I am for the baby. It is, after all a life too. But if it is absolutely certain that the baby will die, then that is another story. She needs not die unnecessarily. Do they induce labor or not, and for which circumstances? Are there special exceptions? Remember, these people are held responsible both here and in the afterlife for their decisions (I am speaking of the doctors here), and they are making conscious decisions that could affect them for a long time to come. This is not a cut and dry issue, and you need to petition your government with solutions in your hands to every forseeable issue before they will listen. I hope you can drum up a solution with each problem so some legislating can begin to take shape, but you will have roadblocks along the way. I guess I am just saying that if the baby has any chance of survival, I am for the baby. It is, after all a life too. When men start to be expected to sacrifice their lives for the sake of a foetus (viable or not – though in this case, it wasn’t), then we can have a rational discussion about the relative value of lives. Until then, the context is too infused with misogyny and embedded devaluation of women for this conversation to be of any use. Incidentally, contrary to what the consultant told Savita this is an officially secular country and people are not entitled to disregard the law on the basis of their personal belief in an “afterlife”. I don’t care Wendy. I would give my life for the child. Are you more valuable that your child? And what is your measuring stick? There doesn’t need to be “rational discussions” just because it is not my life on the line. If I could I would. It does not devalue women at all. I don’t know how you derive that idea. The child that you may give your life for could very well be a female. Your argument is very, very weak. And it is sad that yo are more about self preservation than self sacrifice, which is what this great country was built on. 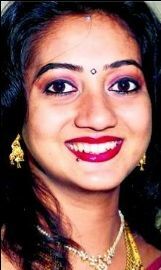 Thank you for mansplaining how women with a foetus that IS NOT GOING TO SURVIVE ANYWAY should willingly die just so that that foetus can … eh … frankly I’m not sure what you think Savita should have willingly died for. But sure she’s only a woman, so who cares, eh?